It is now time to put an end to the embarrassment caused by that less-than-perfect smile of yours! Denta Vacation facilitates high-quality, affordable treatments in dental implant centers in Phuket, Thailand. Medical and dental tourism in Thailand has seen an upward trend in recent years, with an estimated 1.4 million medical tourists visiting the country per annum (data source: “Medical tourism under threat.” (2012) by Sutapa Amornvivat, Bangkok Post, Published 20/06/2012). Good service, coupled with affordable rates, has quickly turned Thailand into one of the premier hubs for dental treatment in Asia. What is the Cost of Dental Implants in Phuket, Thailand? One of the principle reasons for the surge in patients to dental clinics in Thailand is that the price of dental implants in Phuket and other Thai cities is often considerably less than in countries like the USA, the UK, Canada and Australia. Fees are determined on a case-by-case basis, but it would not be unusual to find that teeth implant costs in Thailand are approximately 50% lower than those found in the USA, the UK, Canada and Australia. Easily affordable dental implants in Thailand are result of difference in the cost of living, rather than a lowering of standards. The Thai dental clinics in DentaVacation’s network are renowned for using only high-tech equipment and state-of-the-art facilities, and boast of accreditation for excellence by the Joint Commission International (JCI). Even when you factor-in the price of transport and accommodation, the total cost of dental care in Thailand could still allow significant savings. 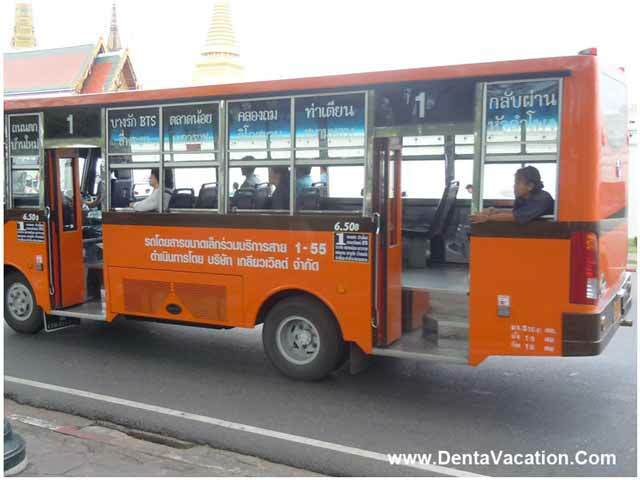 DentaVacation works only with reputable dentists in Phuket, Thailand who have a proven track record in the field of dentistry. The Thai dentists who associate with DentaVacation are skilled in all of the latest implant techniques ensuring that you can have the surgery you need. This includes having relatively quick treatments like immediate load implants in Thailand. Long waiting lists in your own country might play havoc with your schedule. However, booking your treatment abroad often means that you can specify your own timetable. So, when you book for all-on-6 implants or immediate load implants in Thailand, you can do so for a time and date of your choosing. One of the main concerns you might have when organizing your porcelain veneers procedure or all-on-4 dental implants in Phuket is that there may be communication issues. 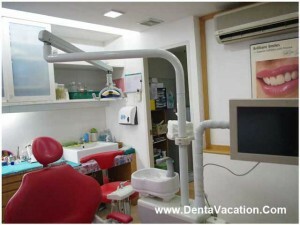 However, Denta Vacation deals with dental clinics where staff is well-versed in dealing with English-speaking patients. Carry out your own research. Performing a quick and easy internet search will help verify that your chosen dental implant center in Phuket meets your expectations and requirements. Although dental implants are a popular and permanent solution to missing teeth, some people don’t have sufficient bone for the procedure or have medical problems which preclude treatment. Heavy smokers, pregnant women and young patients without fully developed jaws may not make appropriate candidates and it’s therefore important to speak to your Phuket dental implant center to ensure your suitability. Make sure you are fully aware of the risks involved with having dental implants. In some cases, this might include the implant not fusing correctly with the bone, infection, soft-tissue damage or nerve damage. In Phuket, dental implants information can be provided by your dentist. Advice on how best to manage your implants might include taking antibiotics or antiseptic mouthwash to reduce infection or over-the-counter painkillers if you require pain relief. It’s best to have all of your travel documentation in place prior to your trip. Passports and VISAs can take time to organize. Following your arrival for affordable dental implants in Thailand, remember to take appropriate precautions. The Centers for Disease Control and Prevention (CDC) suggests making sure that your routine vaccinations are up- to-date, taking anti-malarial drugs as required, drinking only bottled water, wearing insect-repellant and packing sunscreen. Traveling to Phuket doesn’t need to be taxing as the city is served by its own international airport (Phuket International Airport), the second largest in Thailand. Direct flights are available from a number of international destinations including London, UK (less than 12 hours) and Sydney, Australia (less than 10 hours). Factor in some recovery time to your trip and take the opportunity to enjoy the numerous delights that Phuket has on offer. Whether you’re interested in a jungle safari in the Khao Sok National Park, a world famous Thai massage or a tour of the city’s historical sites, Phuket has something for everyone. 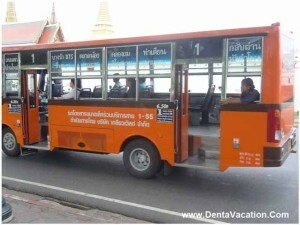 If you’re looking to join the ever increasing ranks of medical tourists traveling to Thailand for treatment, DentaVacation offers to facilitate the process. Missing or broken teeth can interfere with your quest for a dazzling Hollywood-star-like smile. However, visiting a dental implant center in Phuket, Thailand can offer an affordable and high-quality alternative to treatment in your own country. Submit the free estimate-request form on the right for more information on Dental Implant Center in Phuket – Thailand.